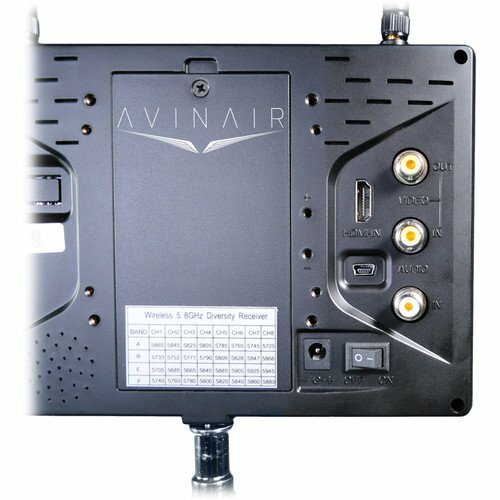 The 7″ Wireless FPV Monitor from Avinair is ideal for first-person viewing and aerial imaging applications, featuring a built-in 32-channel analog video receiver. 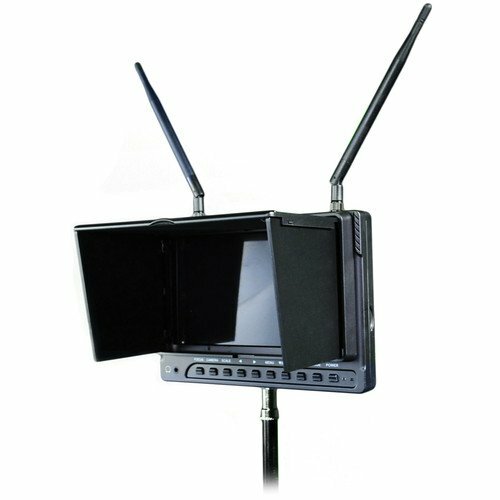 Additionally, it can be used for other wireless video applications, ranging from security and surveillance to high-mobility live broadcasting and film production. 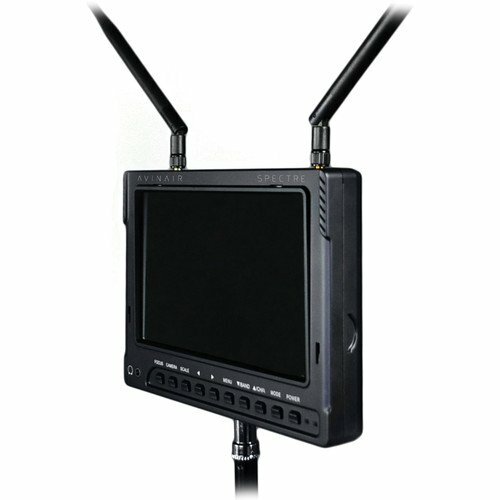 Its 7″ LED backlit LCD screen features a native resolution of 1024 x 600, and it includes HDMI and composite video inputs along with its wireless connectivity. There is also a composite loop-out for connection a secondary display, such as FPV goggles. 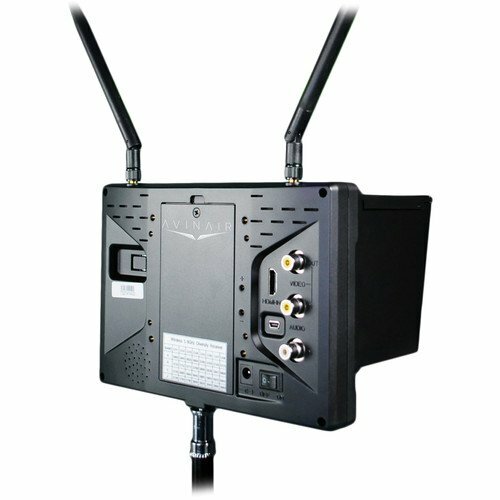 The monitor includes an integrated 2200 mAh battery that is estimated to last two hours. Additionally, a collapsible sun shade comes in the box to help enhance visible in bright sunlight. 9.1 x 8.0 x 3.4"